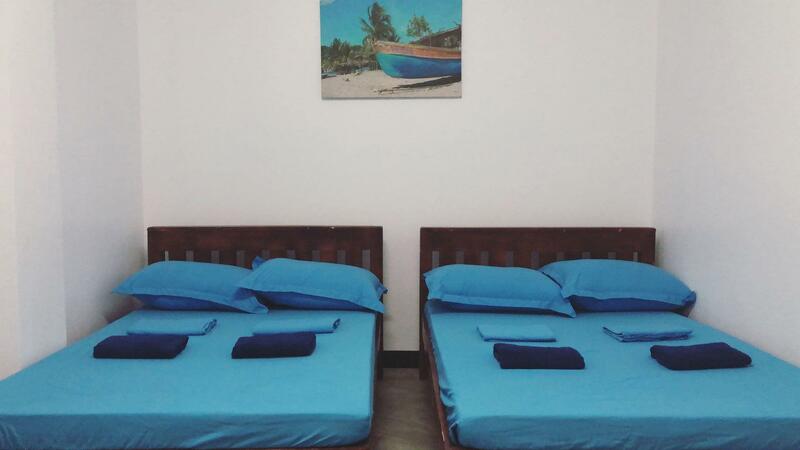 ﻿ Tres Islas Hostel, Siargao Islands | FROM $20 - SAVE ON AGODA! 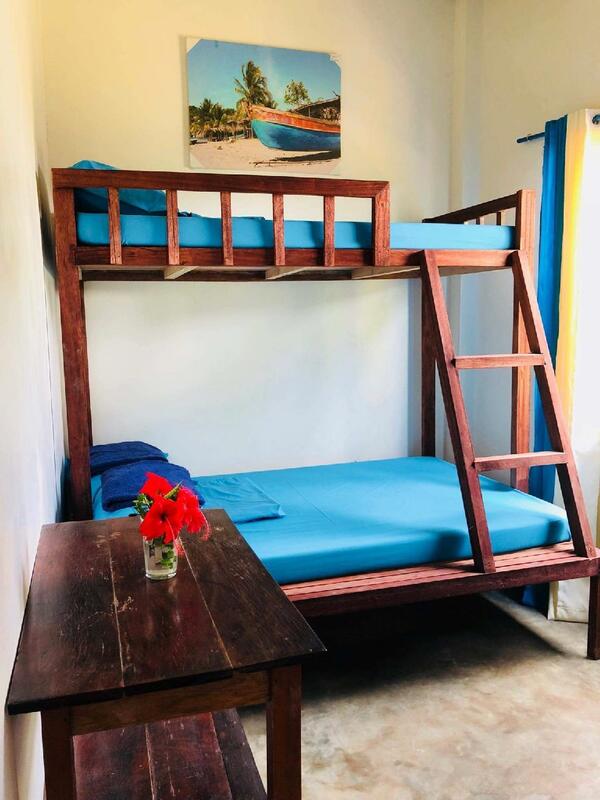 "The staff was our family for the last four days, the room wa..."
"Highly recommended place for travellers on a low budget and is looking for a relaxing home feels in the island." "Staffs and owners are very friendly and awesome." "Wifi signal was also strong." 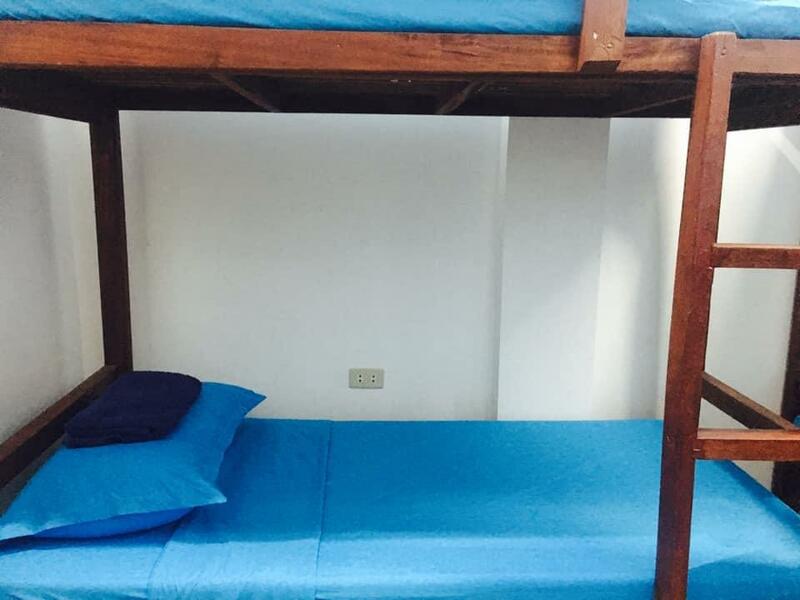 Tres Islas Hostel, located in the General Luna area, is a popular choice for travelers. The property lies 1 km from the city center and provides accessibility to important town facilities. With its convenient location, the property offers easy access to the city's must-see destinations. 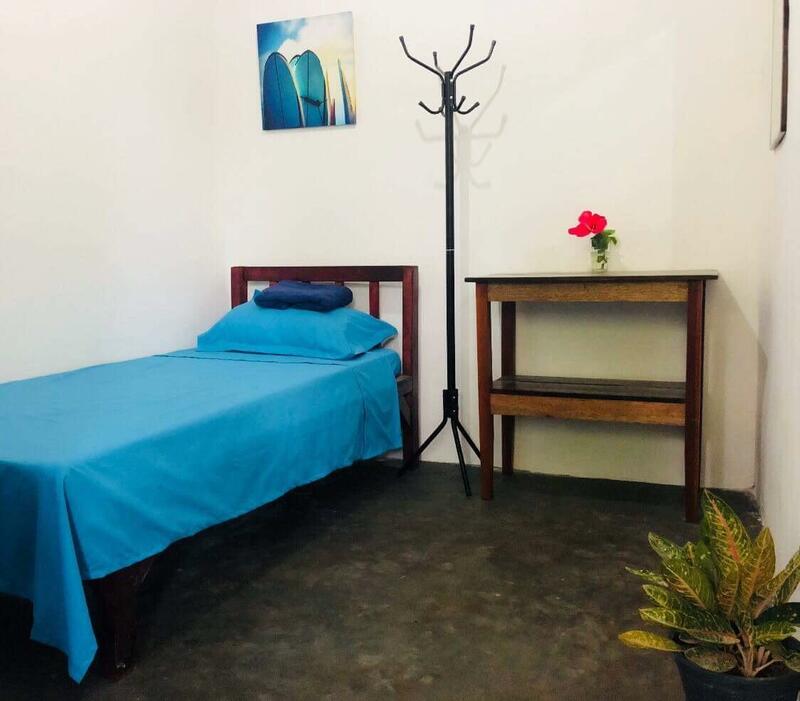 Offering guests superior services and a broad range of amenities, Tres Islas Hostel is committed to ensuring that your stay is as comfortable as possible. Top features of the property include daily housekeeping, kitchen, Wi-Fi in public areas, laundry service, designated smoking area. Guests can choose from 10 rooms, all of which exude an atmosphere of total peace and harmony. The property's host of recreational offerings ensures you have plenty to do during your stay. 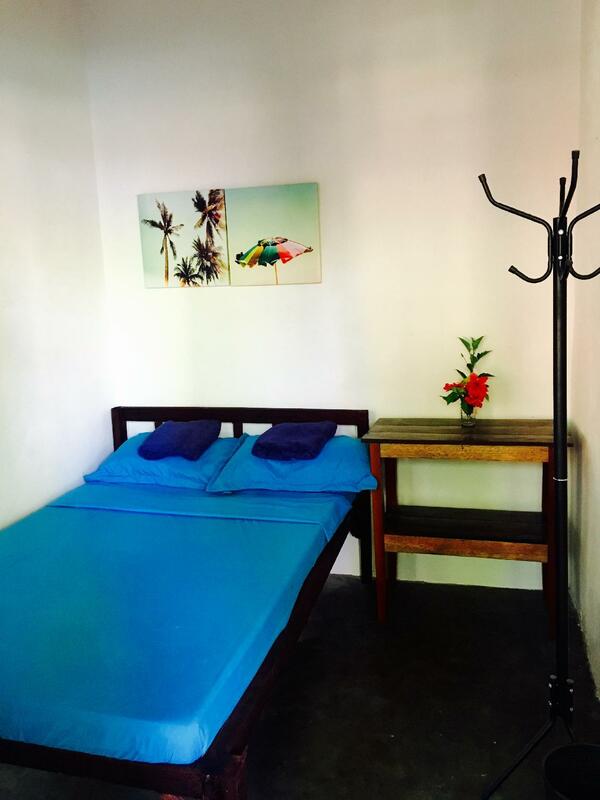 Enjoy a great location and services to match at Tres Islas Hostel. "The staff are very accommodating and will mingle with their..."
We stayed in a double room for 3 nights and liked it. The staff was helpful and always in a good. We could store our luggage there during a 2 day trip to the north. Because its a new hostel, there is still some potential for cleaning, wifi and design of the rooms. Stayed here for 3 days, room was clean and well maintained. Also for the shower room, only bad thing is there was no heater. Very helpful and friendly staff, Vin and Kit. They helped us arranged for our tours. We had a nice breakfast too. Definitely coming back! Thank you Tres Islas! Our room is simple and clean. Moreover, the staff are amazing. They assisted us in every way possible from getting trikes and recommending places to go to. They even let us have our breakfast early since our tour starts at 6 A.M..
We had an absolutely amazing time at Tres Islas! Facility was super clean and staff was incredibly helpful in assisting with finding tours/scooters/surf lessons/etc. Everyone was so friendly-we didn’t want to leave Siargao! The staff at Tres Islas are so nice. They made our first time in Siargao very fun and hassle-free. From arranging our tours, to calling us trikes, to recommending places to eat and party, they just know how to make you feel like family. They even gave me medicine when I got sick--absolutely free. And when our flight got cancelled, they immediately got us a room to spend the extra night in. Thank you, Tres Islas staff for being such great people! Kit is accomodating, friendly and nice, Chris gladly assisted me with my van service going to the airport on the last minute that my contracted driver suddenly cancelled our deal. Will definitely be back. The staff was our family for the last four days, the room was clean, a cool space for chilling, always great music. There is a kitchen and a fridge with all the accessories you need. the bathroom and the shower were always clean. The staff helped us with everything, laundry, transportation, bike rental and recommendations. The staff are very accommodating and will mingle with their guests every night. Those are lovely times, cos in the morning everyone is almost out. They will serve you breakfast too (not in bed, but in their dining area). They will answer to every recommendations you'd like to hear and they have their resident habal available for tours as well.